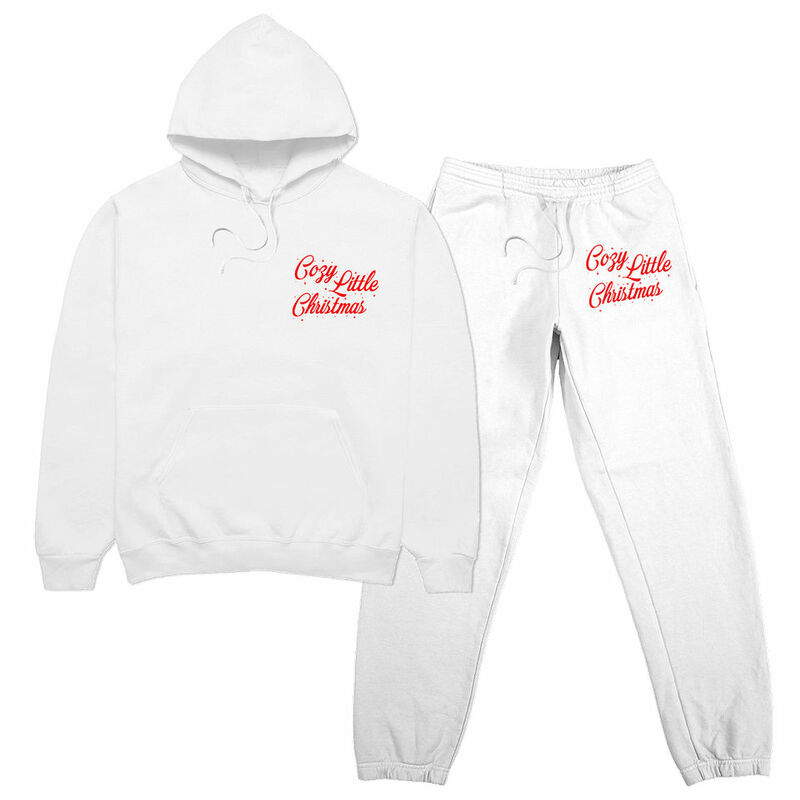 Matching white "Cozy Little Christmas" sweat set including hoodie and pants. Hoodie features newly released single art. Sweat pants include logo art on upper left leg and include a drawstring and tapered bottom hem.